This weeks Photo Wednesday was taken close to Busan Station in Korea’s Second Largest City Busan. 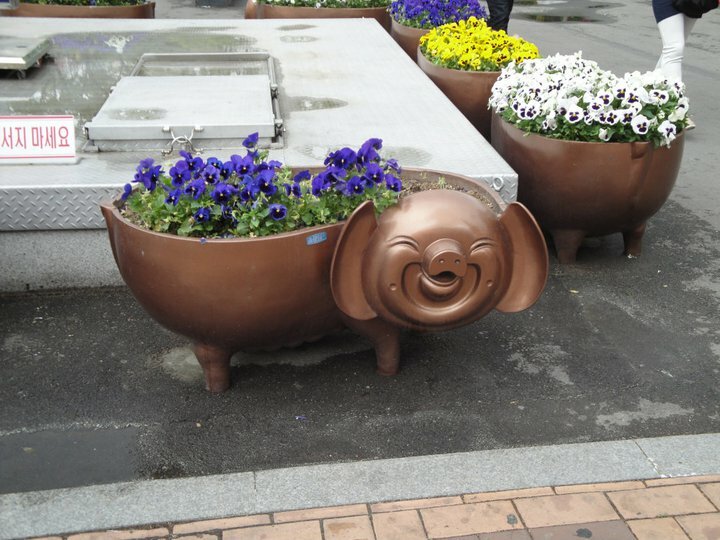 This photo shows a cute if a little bit scary pig flower pot. The pig flower pots were surronding an uninteresting manhole cover type thing, but their cute faces defiantly brought a smile to our faces. Last weeks Photo Wednesday – “The Perfect Summer Spot an Urban Beach” CLICK HERE.